Rental owners and tenants very often find themselves in what can amount to a tug of war. The owner wants the most he/she can get from the rental of a property. The tenant wants as much in the way of services and amenities as he/she can get for the rent being charged. This is quite understandable. When it is necessary to contact a tenant, some owners write letters that are not only abrasive but insulting. This, of course, doesn’t help improve the relationship between the two parties. Frequently it is necessary to write to the tenant because of neighbor complaints of loud music, barking dogs, allowing unauthorized friends or relatives to move in thereby adding to wear and tear. There should be a written rental/lease agreement that spells out any rules and regulations to which the tenant agrees. 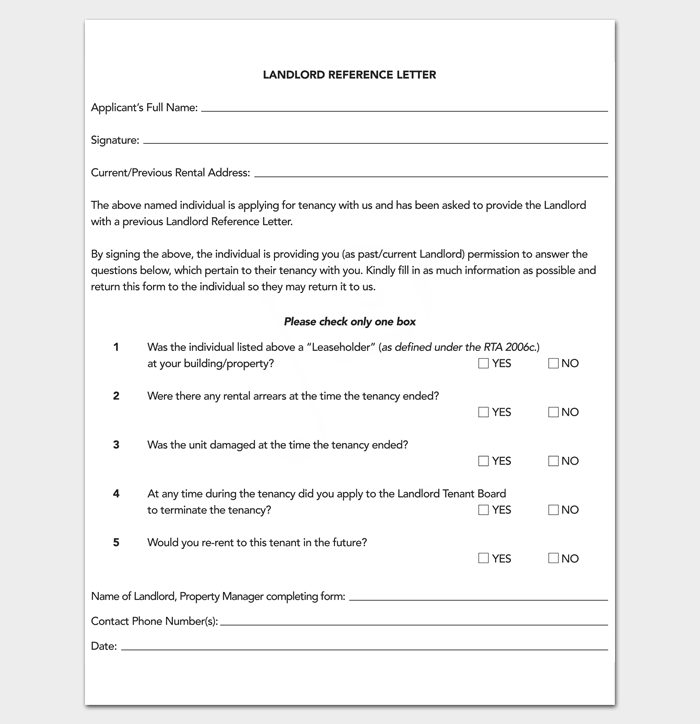 When it becomes necessary for the owner or manager to write a letter to a tenant, it is important that the letter does not exacerbate the problem. This can only anger a tenant who in turn may well dig in his/her heels, refusing to cooperate in any way. 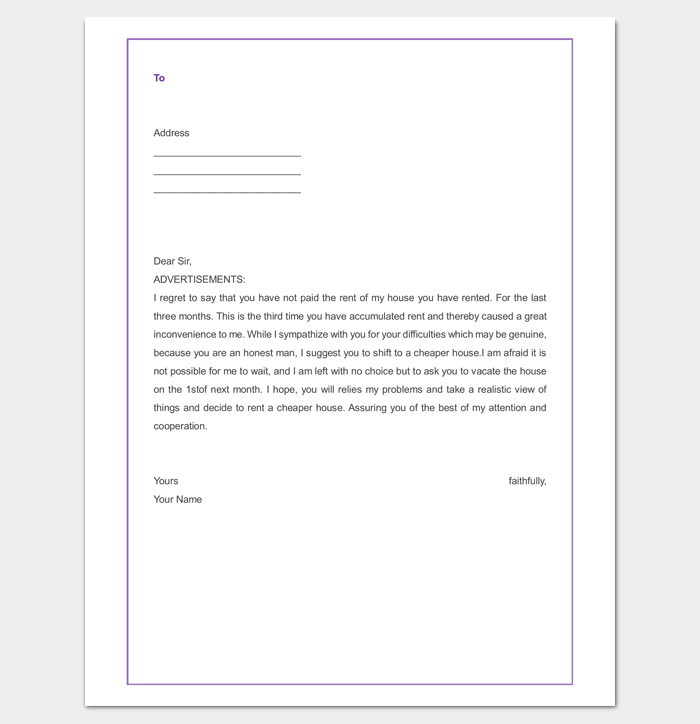 Neither party can really want a simple tenant letter template to turn into a major conflict between owner and tenant. First, the owner should politely begin (if possible) by mentioning his/her pleasure in having this particular tenant. Then the letter may go on by bringing up the problem. This part should be made as clearly as possible. 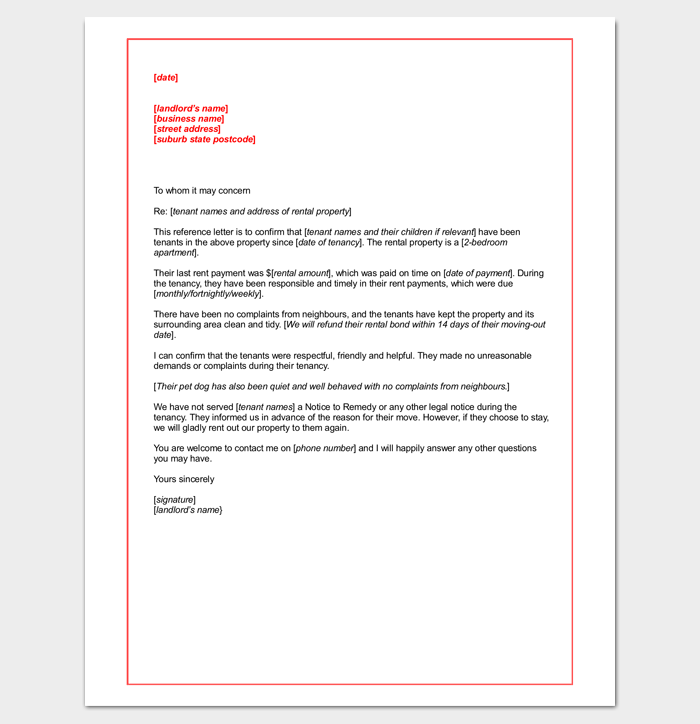 A tenant letter template should be short and polite, and respectful. In addition, if possible, thank the tenant for some aspect of their relationship so the tenant will not feel hurt or insulted. The problem should be clearly described in plain and simple language (English is a second language for more and more tenants). The Solution – The letter should spell out in simple language what the tenant will be expected to do in order to eliminate the problem. 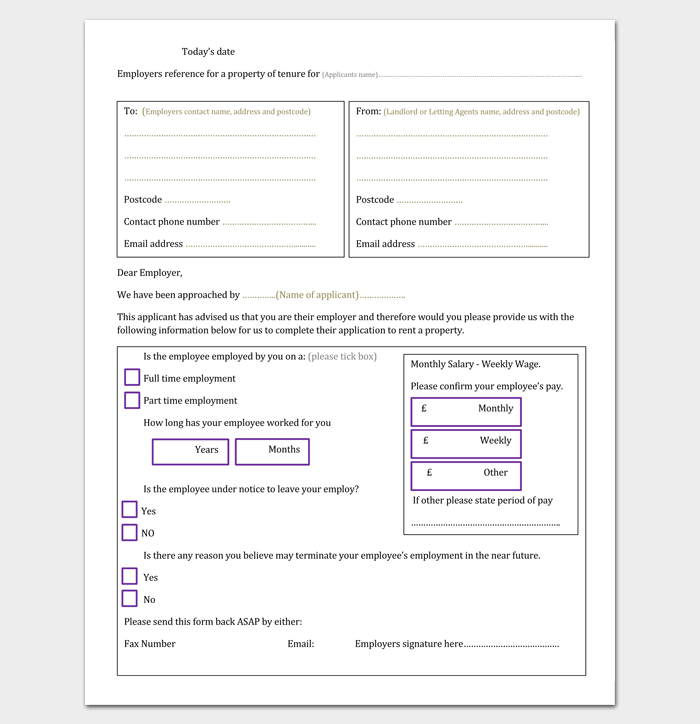 Proof of residence – The owner may need to keep a written list of occupants after having seen and perhaps photocopying IDs for the adults together with names and ages of occupants under the age of 18. 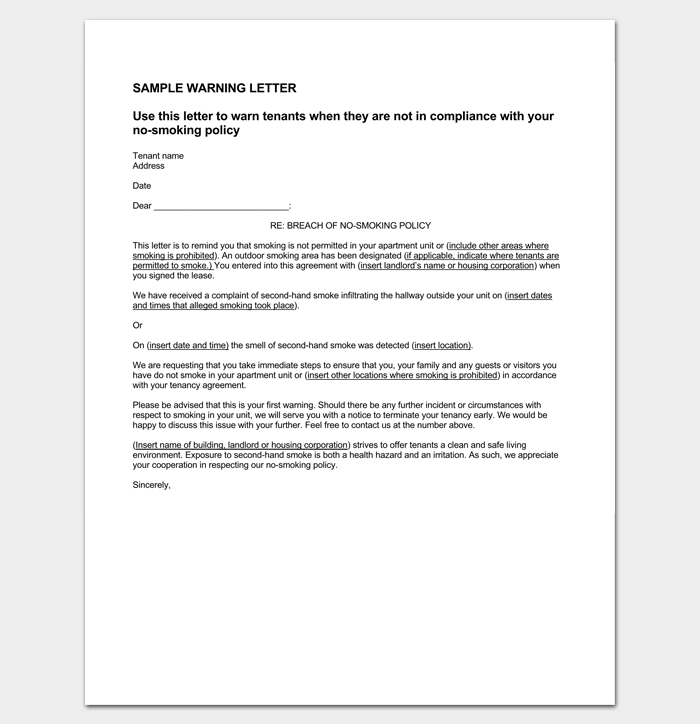 The tenant letter template should show a cogent reason why the owner needs this information. It will help the owner keep track of authorized residents since renters frequently move friends or relatives into the owner’s property. The more people there are, the more wear and tear on the property along with more expense on landlord-paid services if any. If problems arise, the owner will have a better handle on the names and identities of persons involved. Unauthorized tenants – This can be a follow-up on authorized occupants and IDs. A letter may be worded in the following manner. Not quite so friendly as the first letter. At this point, it is not desirable to antagonize the tenant. All complaints should be in writing and kept as evidence if necessary at some later date. If possible, the owner should drive by several times and observe the property. The owner may not, however, enter the property without first sending a letter to tenant notifying him/her of the intention to inspect the interior. This can be a touchy moment because tenants often insist in their innocence, or try to blame some neighbor of causing the trouble, between them and/or their children or for other reasons. Be prepared with written evidence, if any. It would be a good idea to visit the property, talk to tenants without being too specific about reasons and see what can be learned. Often an owner becomes acquainted with local police and if so, one of the officers might be asked to drive by on occasion, just to see what, if anything, is going on. Notice to pay rent – When a tenant fails to pay promptly, the owner may write a non-threatening letter as a first step. “According to our mutual agreement, your rent must be paid by the 5th of each month or you will be considered delinquent. 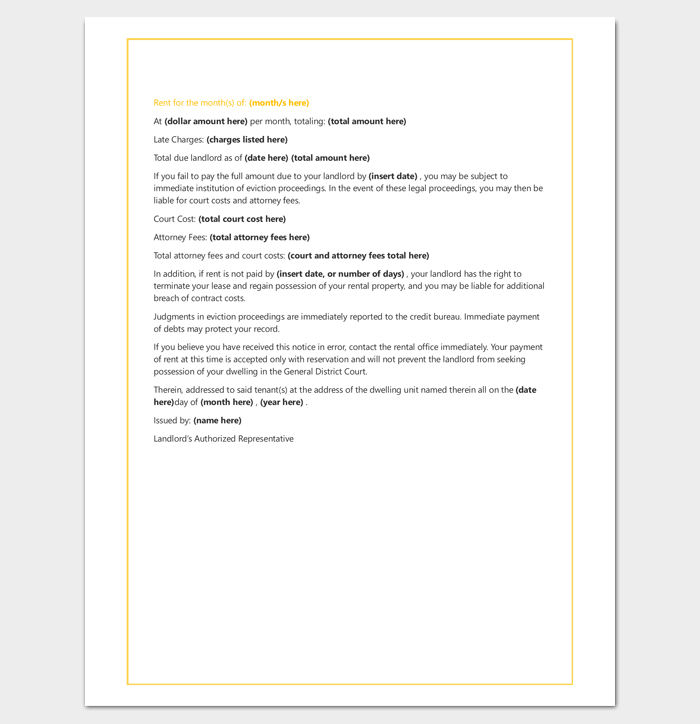 If this tenant letter template fails to bring in the rent receipts, the next step will probably be the Three-Day Notice. This is impersonal because clearly, the owner’s attempts to be courteous are in vain. A Three-Day Notice is necessary for most states. Once the tenant fails to pay, an attorney should handle the eviction process. This means the owner or representative must appear in court. Thirty-Day Notice – A Thirty-Day Notice may be issued when it is necessary to evict an undesirable tenant. This should be an impersonal letter or a form that can be downloaded on the computer. “This is to inform you that according to the rental agreement you signed, we are authorized to issue a thirty-day notice for you to vacate the premises. Because of damages created by your family, we have to completely renovate the interior once the property is vacant. At this point, tenants may become belligerent and make threats they can’t really enforce. If there is a face-to-face confrontation, it is better, if possible, to have a witness present. In any case, the owner should remain calm and try to reason with the tenant. If the tenant is too angry and makes threats and/or indicates he refuses to move, now is a good time to have an attorney begin the process of eviction. End of Lease – Sometimes, when a lease is about to expire, even though the tenant has been quite acceptable, it is necessary to refuse to renew the lease agreement. 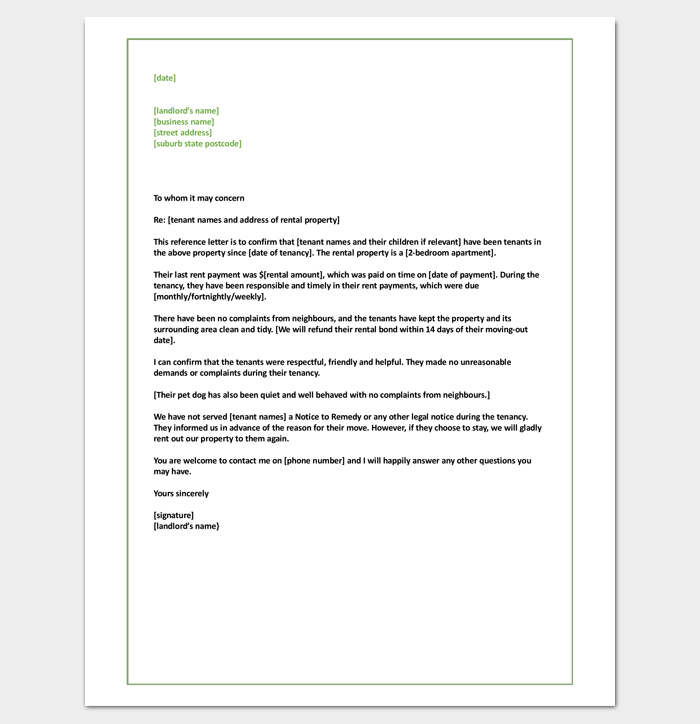 A polite tenant letter template would be in order, giving the reasons so that the tenant will understand. “As you know, the lease agreement we have between us will expire in sixty (60) days. “Although you have always been a good tenant, and we certainly appreciate having you both as a tenant and perhaps a friend as well, it is our unfortunate task to ask you to vacate the property by the end of your lease. “We have made the decision to sell the property and the buyer insists on the entire property being vacant before closing. We believe he intends to use it for the occupancy of his daughter. It may be a good idea to visit the tenant in person or even invite him/her out for coffee. You should make every effort to maintain a good relationship with this tenant. In the future, you may have other rental relations, or the tenant may refer other potential tenants to you at some later date. If at all possible, all deposits should be returned to the tenant upon vacation of the property.